Biak-na-Bato, Bulacan The Pact of Biak-na-Bato was signed. 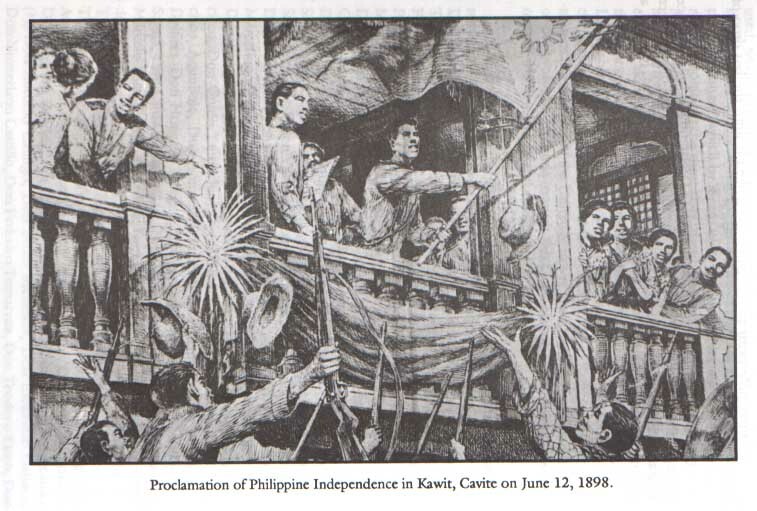 Kawit, Cavite The Philippines declared its independence. Manila Spanish Army in the Philippines capitulated after mock battle. Gen. Merritt proclaimed occupation of Manila. Malolos, Bulacan Opening of the Malolos Congress. 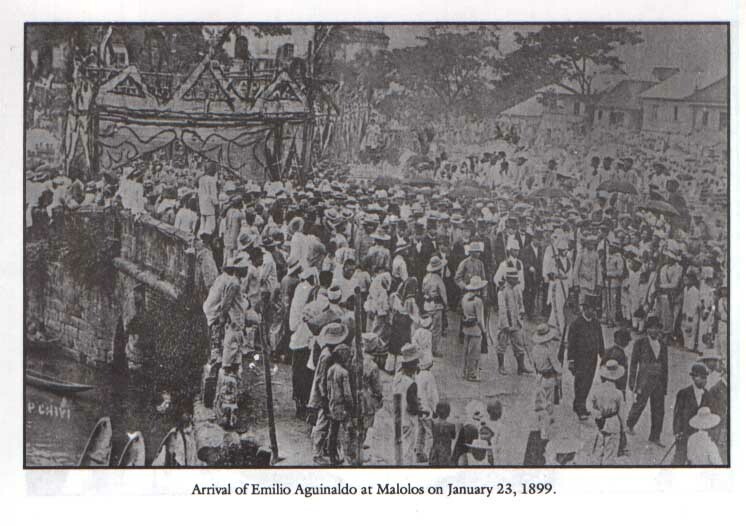 Malolos, Bulacan The Draft of the Malolos Constitution was submitted for promulgation. Paris, FRANCE The Treaty of Paris was signed by representatives of the United States and Spain. Malolos, Bulacan The Malolos Constitution was promulgated. 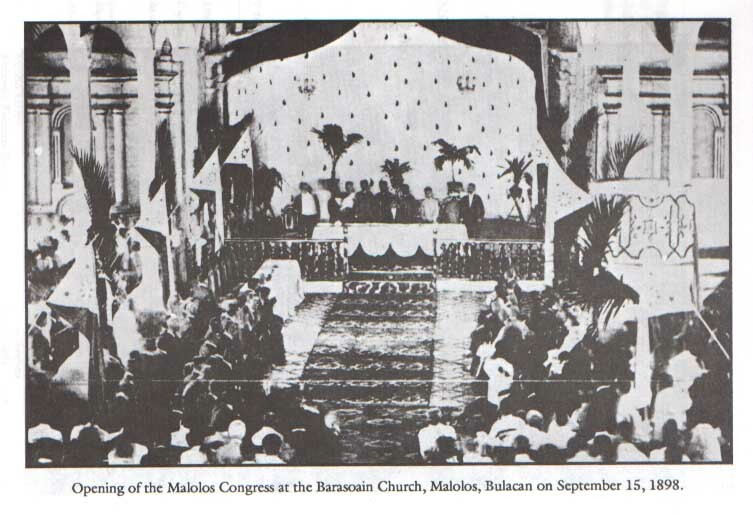 Malolos, Bulacan The First Philippine Republic was inaugurated in colorful ceremonies at the Malolos Church.